The Park Twin turns the entire mountain into your personal terrain park. 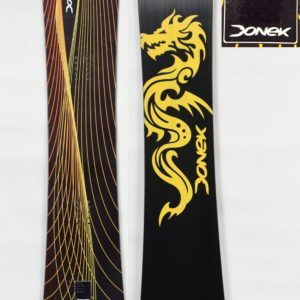 The side-cut, shape, and perfect mid-flex allow it to perform exceptionally well in hard or soft snow. It has a stiffness that allows for amazing stability and edge hold for carving at high speeds, bigger jumps, and half-pipe. There is also a distinct playfulness in the flex, for locking into a press on a rail, or buttering around groomers. Bending the board allows you to effectively store energy along its length, resulting in explosive pop at your command. This ability to load and snap from the core opens the door to incredible versatility for tricks and turns with the Park Twin. The Park Twin turns the entire mountain into your personal terrain park. The side-cut, shape, and perfect mid-flex allow it to perform exceptionally well in hard or soft snow. It has a stiffness that allows for amazing stability and edge hold for carving at high speeds, bigger jumps, and half-pipe. There is also a distinct playfulness in the flex, for locking into a press on a rail, or buttering around groomers. Bending the board allows you to effectively store energy along its length, resulting in explosive pop at your command. This ability to load and snap from the core opens the door to incredible versatility for tricks and turns with the Park Twin.